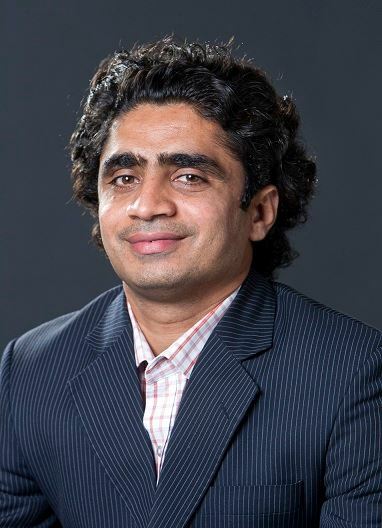 Arshad Dogar, 33, is a staff reporter in Lahore for The News International, Pakistan’s leading English-language newspaper, where he has been covering crime, terrorism, Pakistan-India border security issues and prisons for seven years. He is also a contributor to his newspaper’s weekly magazine, The News on Sunday, and blogs at Crime Watch Pakistan. Dogar began his journalism career in 2005 at The Post, an English-language newspaper, covering civic issues. At the time he was also studying for his master’s degree in English Literature and Linguistics at the National University of Modern Languages. He is fluent in Urdu and English. Dogar has trained several interns from the University of Punjab and is a council member of the Lahore Press Club and a member of the Punjab Union of Journalists. 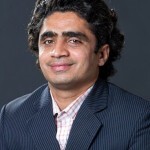 About what he hopes to gain from the experience, Dogar said that “By working in the U.S., my exposure to new media and interaction with U.S. journalists will widen my horizon as well as my approach to ideas and stories.” His fellowship goals are to sharpen his journalistic skills, learn advanced techniques of investigative reporting and explore the role of a free press in United States. Anastasia Forina, 24, is a staff writer at the Kyiv Post, Ukraine’s leading English-language newspaper, where she covers business, politics and lifestyle. She speaks English and Russian as well as Ukrainian. Upon completing her degree in cultural studies from the National University of Kyiv-Mohyla Academy in 2010, Forina started at the Kyiv Post covering lifestyle. Since 2012 she has been primarily reporting business and financial news. In 2013, Forina was chosen to participate in ImpactMedia, an international education pilot program created by the Foundation for Effective Governance to foster quality economics journalism in Ukraine. It aims to provide access to top-notch international training in economics journalism to Ukrainian reporters and editors. During her fellowship, Forina will be hosted by the Chicago Tribune where she aims to learn practical skills of high-impact economics reporting which she will share with colleagues at the Kyiv Post. Forina is the first Ukrainian fellow to participate in the Alfred Friendly program. Her fellowship is funded by the Ukrainian Foundation for Effective Governance. Asma Ghribi, 26, is a Tunisian freelance journalist based in her nation’s capital, Tunis. She is also the Tunisia Transitions blogger for Foreign Policy Magazine, where she focuses on human rights and security issues. She was the managing editor of Tunisia Live, the country’s first English-language news portal, founded after the revolution. She began at Tunisia Live as a reporter covering the unfolding democratic transition in her country. Ghribi also has been a field producer for several foreign news outlets including BBC, NPR, The Globe and Mail and The New York Times. She was a UN correspondent in New York, covering the 2012 UN General Assembly where she interviewed Tunisian President Moncef Marzouki and UN Secretary General Ban Ki Moon. 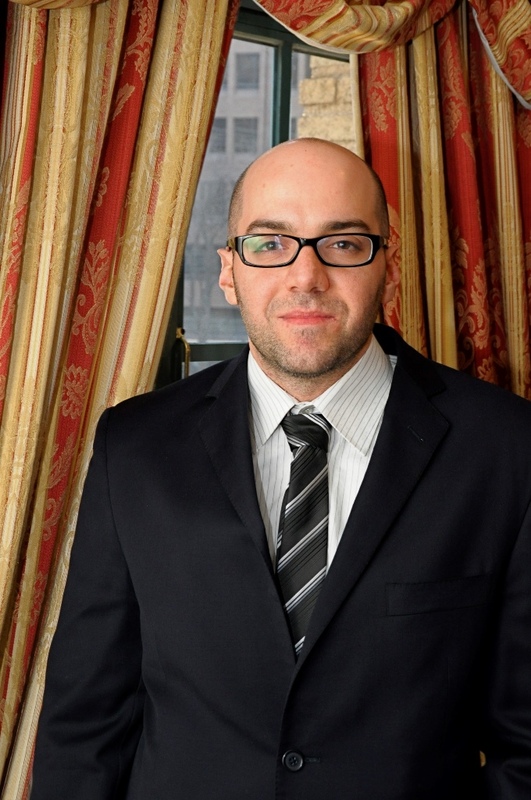 In 2011, Ghribi was a fellow at the World Affairs Institute MENA Democracy Program. The following year, she received a United Nations Dag Hammarskjöld Journalism Fellowship. Zahid Gishkori, 32, is a staff correspondent with The Express Tribune, publishing partner of the International New York Times in Islamabad, Pakistan. 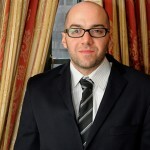 He has more than seven years experience in feature writing, political and investigative reporting, and multimedia storytelling. Gishkori has covered courts, counterterrorism, diplomatic issues, the environment, gender discrimination and human rights. He has reported from India, Germany, Sri Lanka and Nepal. Currently Gishkori covers special events and files investigative and in-depth reports on news issues. He also focuses on the Balochistan conflict. 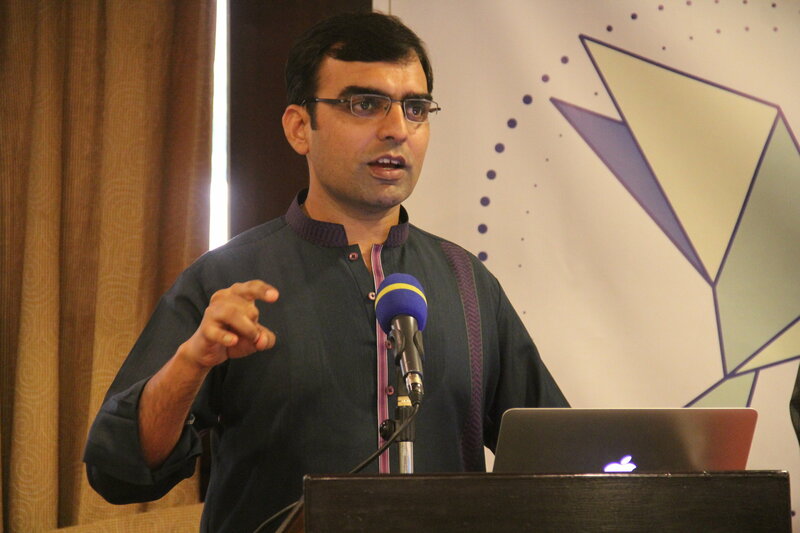 His awards include the 2013 Agahi Award for quality journalism for coverage of floods and a 2012 Canadian High Commissioner award for his reporting on an Airblue plane crash investigation. 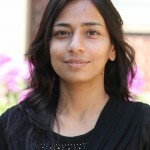 Gishkori received a master’s degree in English Literature and one in political science from Pakistan’s Bahauddin Zakariya University. He also earned a master’s in mass communication from Allama Iqbal Open University. He has reported for many Pakistan news outlets including: Express 24/7, The Nation, the Pakistan Observer, Pakistan Press International and Independent News Pakistan. 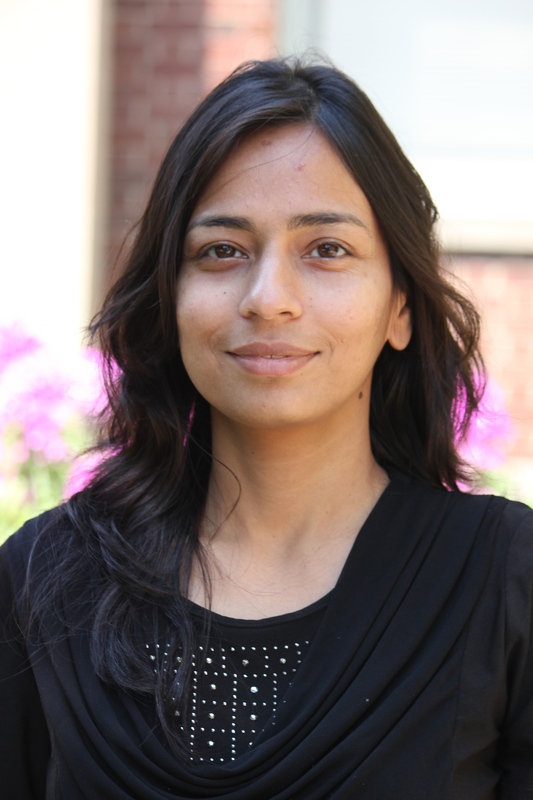 In 2012-13, Gishkori was a SAARC Media Fellow in Kathmandu, Nepal and wrote From Shadows to Reality: A Way Forward for SAARC, a study on relationships among the states of the South Asian Association for Regional Cooperation. Also in Nepal last year, Gishkori participated in South Asia’s Youth at Risk, a program organized by the International Center for Journalists. 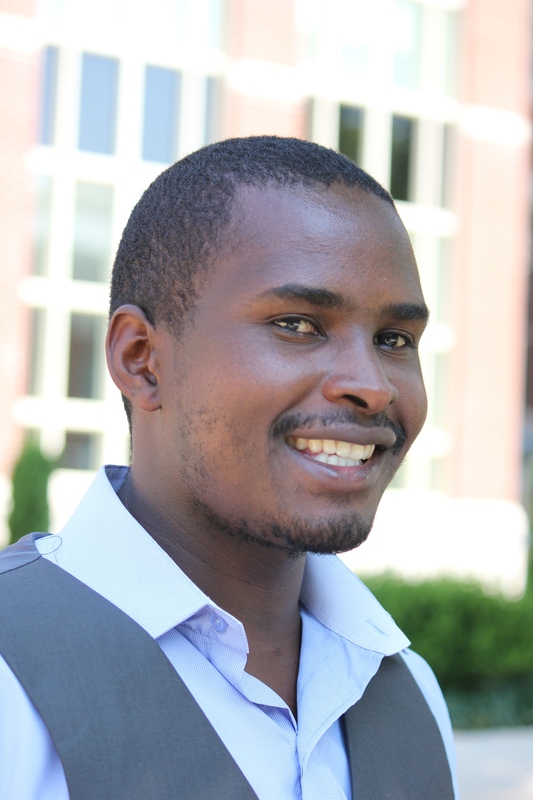 During his fellowship, Gishkori will be working in the news department of The Kansas City Star. Sahar Majid is a copy editor for Dawn, the most widely circulated English language newspaper in Pakistan and the flagship publication of Pakistan Herald Publications Limited (PHPL). Recently Majid participated in the US-Pakistan Professional Partnership in Journalism – an initiative of the International Center for Journalists. “Through this fellowship, I hope to learn more about computer-assisted reporting and develop my reporting and news writing skills,” says Majid. She also hopes to learn about newsroom management. Harry Misiko is a copy editor for the Daily Nation, the highest circulation newspaper in Kenya, which is published by Nation Media Group, the largest privately owned media organization in East and Central Africa. Misiko, 29, edits news, features and analyses on topics including politics, security, health, education, agriculture and technology. He is the Nation Media Group’s 2013 Best Headline Award winner. He joined the Daily Nation in 2011, after two years of writing news and features for Daily Nation’s sister publications — Saturday Nation, Sunday Nation and Taifa Leo. He is fluent in English, Lubukusu and Kiswahili, the language of East African. Misiko earned his bachelor’s degree in media and communication from Maseno University in western Kenya, where he founded the Equator Weekly— a publication for the university’s journalism students. Misiko trained and mentored dozens of journalists at Nation and at several journalism colleges. Some of his trainees are now successful reporters with leading Kenya media houses. He is a member of the Kenya Union of Journalists. 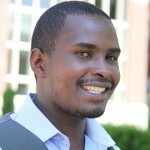 During his fellowship, Misiko will be hosted by The Washington Post, where he aims to learn about writing for the web, non-linear storytelling, computer-assisted reporting, citizen journalism and data journalism. “I believe my interaction with reporters and editors at The Post will help me integrate new media and other emerging technologies in my work,” he says, “besides learning new and faster approaches to newsgathering, packaging and dissemination. He also looks forward to exploring the roles of free media and politics in the United States. Kiran Nazish, 31, is an award-winning Pakistani journalist who has worked as a reporter, print editor, TV and radio producer/director and trainer. She is also a journalism professor, currently teaching “Reporting in Conflict” and “International Journalism” in Delhi, India. Nazish has reported from some of the most dangerous places in Pakistan on issues of conflict and the aftermath of war. She has covered agencies in FATA, Peshawar, Quetta, Awaran, Liyari and Kashmir. Her work has appeared in numerous publications including Dawn, Express Tribune, The Huffington Post, Foreign Policy, AfPak, AlJazeera, The Diplomat, LaStampa, Washington Post/TV, Forbes, Asia Times Online and the Columbia Journalism Review. Sherif Tarek is a senior news reporter, feature writer, domestic affairs deputy editor and shift supervisor for Ahram Online, the English-language news portal of Egypt’s largest news organization, Al-Ahram. Tarek, 31, is the first Egyptian journalist since the 2011 Egyptian revolution, to earn a Daniel Pearl Fellowship. He joined Ahram Online in 2011, following six years of reporting sports, entertainment, political, economic and social news for a number of English, Arabic, and French publications. In 2012, Tarek was chosen to attend a six-week Advanced Political Reporting program at the Berlin-based International Institute for Journalism, which is affiliated with the German Agency for International Cooperation (GIZ). He also attended several workshops on journalism and social media in Cairo and Rome. During his fellowship, Tarek, who completed his journalism degree in 2004, will be hosted by the Los Angeles Times, where he wants to cover a wide range of topics – focusing especially on features and opinion articles.